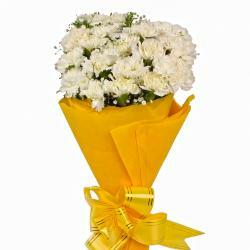 Product Consist : 15 White Carnations with green fillers in Cellophane Wrapping with Ribbon Bow on it. Take a look at this wonderful gift item which is available for gifting at our gift store. The gift item is a bunch of white carnations. The bunch of fifteen white carnations comprises of cellophane wrap. Which are symbolizes a hidden message of congratulations. 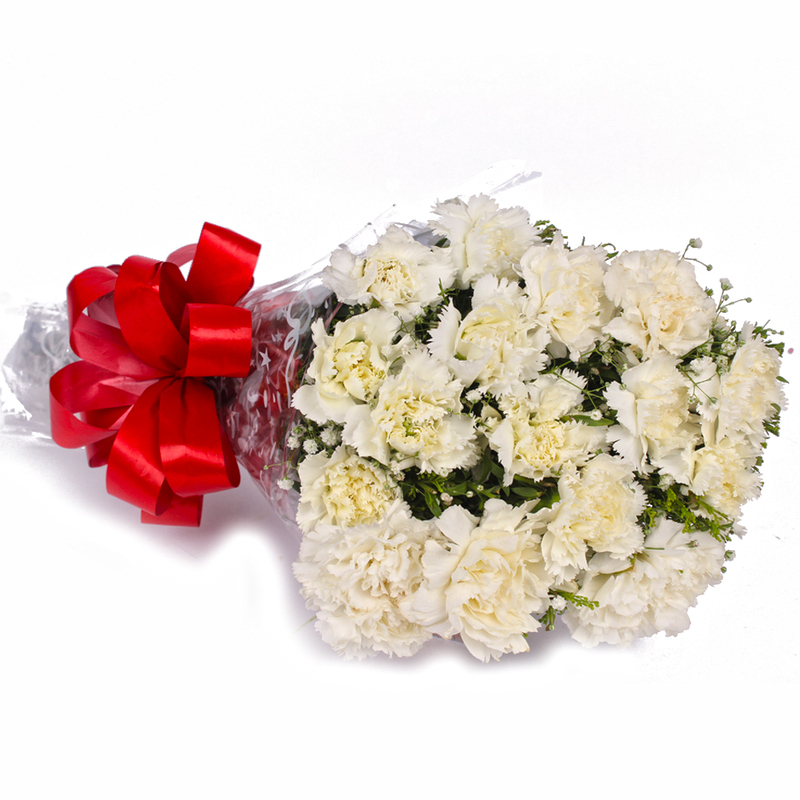 White carnations express the message of purity, love and innocence. 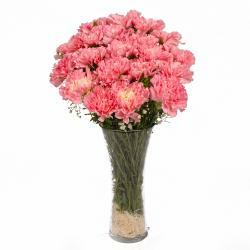 You can gift this flower bunch to convey your feelings to the one you love. 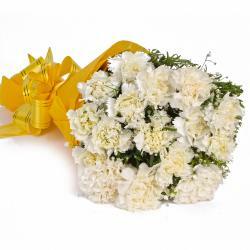 Make him/her feel special by gifting this lovely bunch of fifteen white carnations on this Valentine s Day or on Birthday, Anniversary, New Born, Janmashtami, etc. 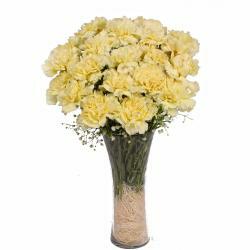 Product contains :15 White Carnations with green fillers in Cellophane Wrapping with Ribbon Bow on it.